What Are Paint Cans Made out of? Paint cans are invisible technology, something which you take for granted and look past, focusing instead on what's inside the cans and how it will look on your walls. However, the can itself can have a major affect on how the paint you choose looks, whether the can is made of steel, as most are, or is one of the new, plastic models. What sort of paint cans you use can affect the quality of the paint within. Using steel to make paint cans has a number of instant advantages, starting with durability. Steel paint cans are very hard wearing and will remain intact even in the most demanding work conditions. Steel also has the advantage of being recyclable, with the can simply needing to be cleaned before it can be used again or recycled. Rusting paint cans are a common problem, often caused by the can not being sealed properly after use or the lid of the can becoming gummed up with dried paint. This in turn can lead to the cans being difficult to open and the paint becoming discolored as rust particles fall into the can. These particles can also be carried onto the surface being painted and held there once the paint has dried. Using plastic to make paint containers has a number of instant advantages. Plastic doesn't rust, and the cans don't dent in transit or during storage. Most plastic paint cans are made of high-density polyethylene (HDPE), which can be recycled, and are 35 percent lighter than metal cans. Plastic paint cans are also transparent, allowing the user to sort them by eye, meaning colors can be found far more easily. 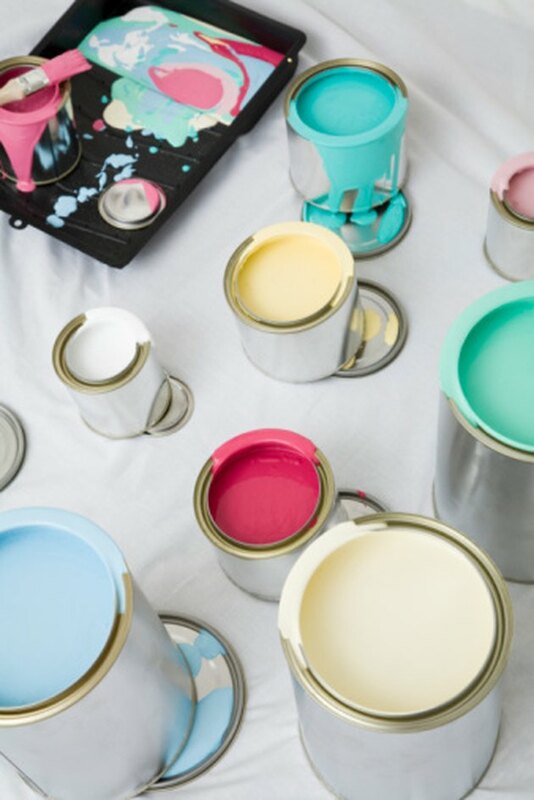 Storing solvent-based paint in some plastic paint cans can lead to damage to the can and the paint as they react together. Plastic paint cans are also constructed of multiple parts, raising the production costs and in turn raising the eventual cost of the finished product. Even recent changes to the production process that have solved these problems have raised new ones, including only one manufacturer capable of producing the new types of plastic. Are Scratched Coffee Mugs Safe?